The 2017 BRZ Series.Yellow blazes onto the scene with a fiery new look–and performance upgrades to match. It includes Sachs® performance dampers for sportier handling, and high-performance Brembo® brakes with 4-piston front and dual-piston rear calipers with 12.8" front and 12.4" rear rotors. Topping off the Series.Yellow package, its black 17 x 7.5 inch, 10-spoke aluminum alloy wheels give this BRZ a timeless presence to complement its exclusivity—only 500 will be built. Throughout the Series.Yellow, there are styling touches and custom details you won’t find on any other BRZ. Adorned with exclusive yellow paint, black mirror caps, black badging, a frameless rear view mirror, and yellow stitching throughout, the Series.Yellow is a modern classic in the making. BRZ Series.Yellow with Black Leather and Alcantara® with yellow stitching and accents. 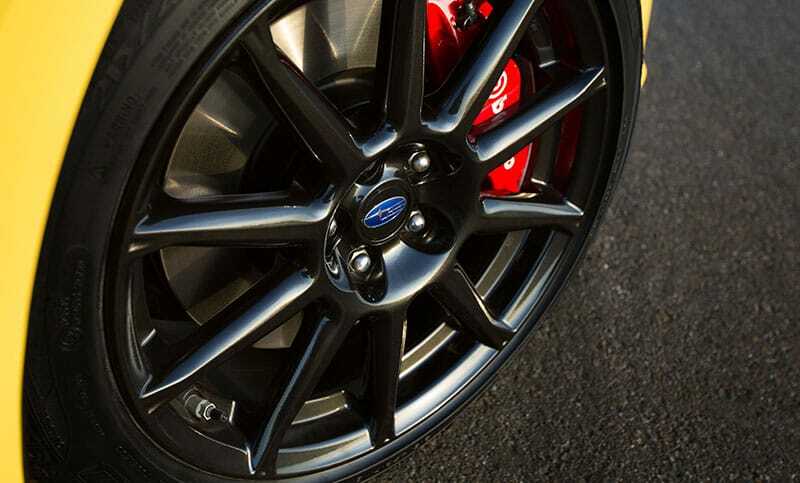 Serious drivers know the importance of having powerful brakes that can withstand the rigors of performance driving. The BRZ Series.Yellow is equipped with performance brakes from Brembo®—a highly respected performance brand. 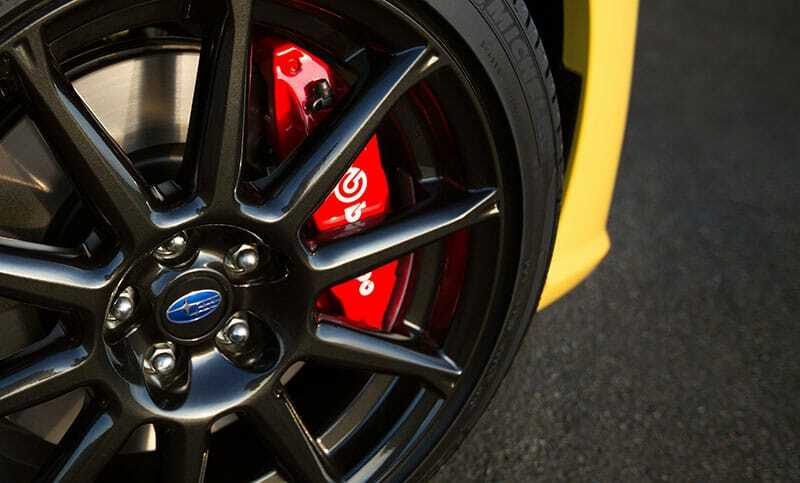 BRZ Series.Yellow Brembo® performance brakes. For a pure sports car like the BRZ Series.Yellow, suspension matters. 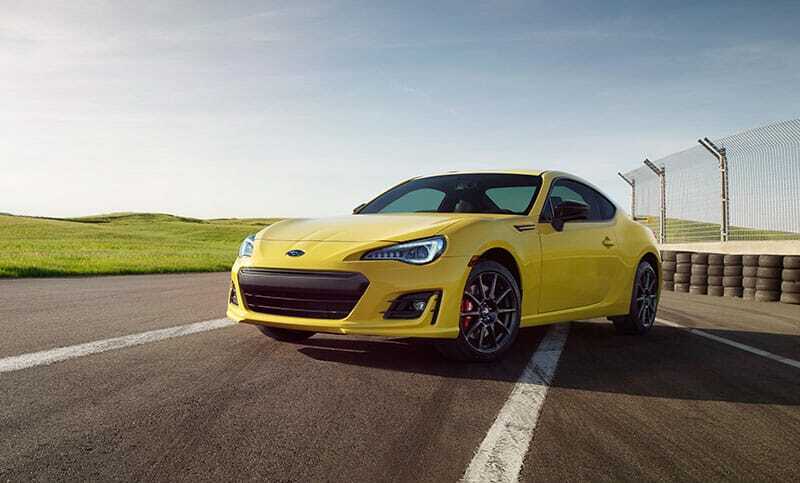 SACHS® Performance Dampers help give the BRZ Series.Yellow improved handling through corners, with a better overall ride quality and the sporty feel that drivers want. Visually, the black 17 x 7.5-inch, 10-spoke aluminum-alloy wheels are a perfect complement to the fiery yellow paint scheme of the BRZ Series.Yellow. More than just eye candy, these wheels are lightweight and stiff, accentuating the responsive handling of the Series.Yellow. BRZ Series.Yellow 17 x 7.5-inch 10-spoke aluminum-alloy wheels with black finish.